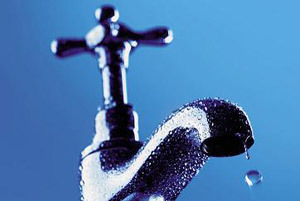 Home » Economy » 2% Tax Will Be Used To Fund Water And Sanitation Infrastructure, Says Ministry of Finance. The Tax Is Not Bad After All, Right? 2% Tax Will Be Used To Fund Water And Sanitation Infrastructure, Says Ministry of Finance. The Tax Is Not Bad After All, Right? You may make your payments today happily knowing that the 2% tax is being used to improve your health. According to The Secretary in the Ministry of Finance and Economic Development George Guvamatanga, the money from the 2% tax will be used to improve the water and sanitation and infrastructure in rural as well as urban areas. We have also started as the government to ensure that we seriously look at water and sanitation. I think this is being largely funded by newly introduced intermediary money transfer tax, the 2% over and over and above using it as well to look after the whole devolution but the funds that we are also putting into the provinces will further enable us to look at our infrastructure as well so there is quite a lot of effort now to ensure that as government there is support for water and sanitation. I think for the 2019 budget, we are looking at 18 Rural District Councils where we are looking at water and sanitation, provision of water as well as sewer rehabilitation. The 2% tax introduction virtually coincided with the cholera outbreak that killed over a dozen people. The outbreak was more like a wake-up call for the government to improve the country’s water and sanitation infrastructure. Now the Secretary says that tax revenue will be channeled to sanitation infrastructure. Well, it’s a good thing that the government wants to improve our health conditions. But I don’t think it can hardly convince people to support the 2% tax because of that. That’s what taxes are used for- to build and maintain public infrastructure. So we shouldn’t call it a noble initiative when it’s the ordinary things that a government is expected to do with our taxes. If the government says we are going to invest the 2% tax revenue into Google shares, then that’s something out of the ordinary that may warrant a round of applause. With a disproportionate amount of transactions being done electronically, that means a lot of money will be channeled to fix the sanitation infrastructure. We expect not to see any sewage flowing in our neighborhoods by 2019. It’s a good thing that the bulk of the of the 2% tax is going sanitation infrastructure rather than buy cars. But next time the government should learn to solve our problems by using the available funds and not tax us furthermore. was hoping they’d use it to ‘tax out’ the RTGS balances that are causing mayhem…. all the same, will beileve them when they give audited reports; we know all too all well how monies are diverted at every possible turn. Fuel has an extra levy that meant to pay Noczim’s debt… the debt’s yet to be paid off! !